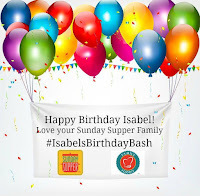 Today the Sunday Supper Movement crew is hosting a virtual party for our beloved founder Isabel...and it's been a surprise. But today is the day that we share our creations in her honor. I've been so excited to lift this glass to celebrate her birthday. Cheers, Isabel! 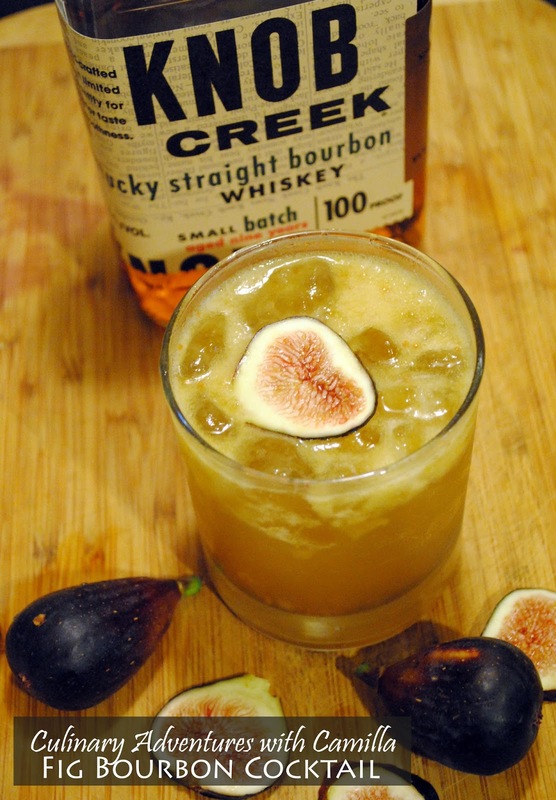 Combine figs and sugar in a chilled pint glass. Muddle together for approximately 1 minute. Add in the honey and the bourbon - that "a jigger and a pony's worth" if that means anything to you! Fill an old-fashioned glass with ice. 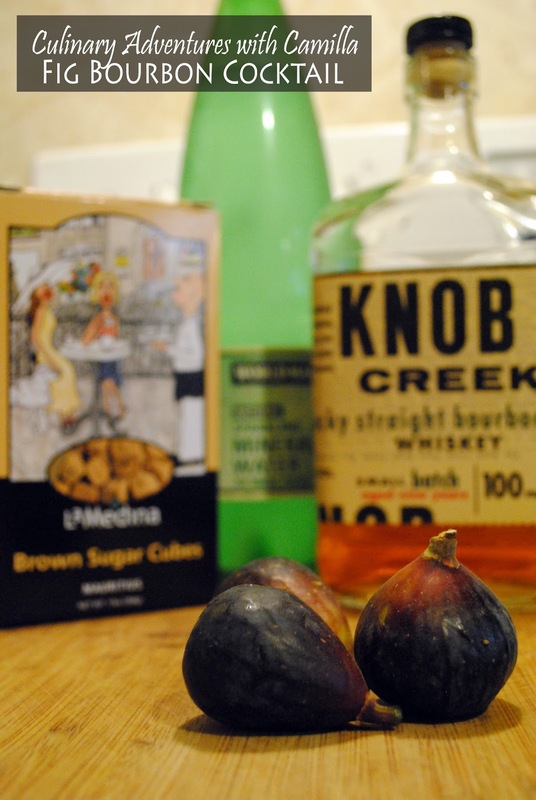 Strain the fig mixture over the ice and top with sparkling water. Stir to fully combine and garnish with fresh fig slices. Serve immediately. Happy birthday, Isabel! Wish I were with you, in person, to lift a glass. It was a tasty drink. I think I'll have to make these for my birthday. Oh wow. Making me crave fresh figs and then sipping on this cocktail too. YAY for figs! I never thought to put them in a cocktail, however so it's very creative! Oooooooh I have an unopened bottle of Knob Creek bourbon right now and this is just what I should make with it! Love the addition of figs. I'd never have thought to use them in a cocktail! (I just realized I said exactly what DB said, lol). Oh wow what a fabulous drink to sip on! What a creative cocktail. Fresh figs...who knew? I just saw fresh figs for the first time ever in a local store. I almost got them, but didn't know what I would do with them if I did.... And then I come home and see this. Guess who's going back to the store tomorrow!! Every birthday bash needs a terrific cocktail! Your figgy fizz looks fabulous!!! 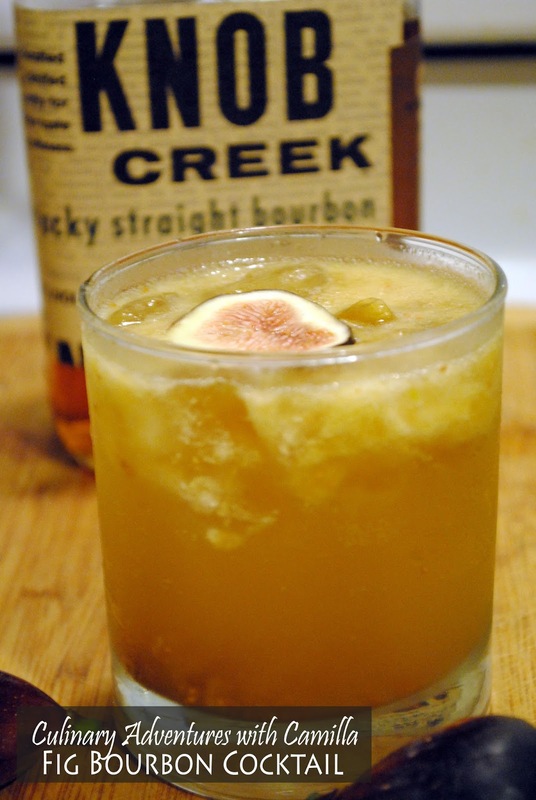 I LOVE figs but never considered putting them in a drink! Sounds delicious! What a fabulously creative drink! Love the figs!!! This sounds delicious! I made something similar once but I am eager to try your version. I have never had a fresh fig. I may just have to remedy that by making this drink!! I love bourbon! Love the sound of this cocktail! This is just over the top amazing. Wow! I love fig and I can't wait to try this drink. Thank you for making my birthday such a special day! You are the best. Thanks for participating Cam! This drink looks amazing! I was eyeing some figs at the store the other day and totally thought about making this.